When the Wright brothers first took flight in 1903, they initially mastered the skies for 12 seconds and a distance of 37m. Over nearly three times that distance, Usain Bolt runs three times as quickly, while that entire history-making flight covered the wingspan of a Boeing 737. But that momentous occasion at Kittyhawk gave birth to a human endeavour that has continually strived to go higher, faster and further. Sixty years later, aviation seemed to be upon a new threshold – the dawn of commercial supersonic transport. History has shown that it was not meant to be, but in the 21st Century, it may just be possible that history is about to be rewritten. When lightning strikes the ground in the distance, it may take some seconds before the “crack” is heard. Like light, sound travels in waves, but the difference in the speed at which they travel is highlighted by the pause between the sight and the sound. For the first decades of flight the speed of sound, or sound barrier, was not an issue and an aircraft would pass overhead in unison with the noise that it generated. These were the times of subsonic flight. Even so, the change in sound from high to low pitch as the aircraft flew by did pose some questions. This change in sound came to be known as the Doppler effect, and it was subsequently explained by the fact that the sound waves ahead of the aircraft were pushed closer together as the source of the sound, the aeroplane, caught up to them. The waves behind the aircraft were more spaced. It can be compared visually to the congested bow wave and the dispersed wake of a boat moving through the water, although sound waves radiate from an aircraft as a cone. The speed of sound, which is around 1,190km/h at sea level, actually varies depending on environmental conditions. Consequently, as the quest for speed drove aircraft ever-faster and towards the sound barrier, the speed of an aircraft was given a Mach Number. This number described its speed as a ratio, relative to the speed of sound under the ambient conditions. For instance, a Boeing 747 cruising at Mach 0.86 is travelling at 86 per cent of the speed of sound, while the sound barrier is at 100 per cent – or Mach 1.0. At the speed of sound, the molecules in the air could no longer get out of the way, and the sound waves in front of the aircraft were effectively compressed into a single wave – or shock wave. The shock wave forms with an abrupt increase in air pressure and density, resulting in a sonic boom. There is in fact a second boom when the tail passes through the shock wave and the air pressure rapidly returns to normal, although the human ear sometimes only detects a single boom. In flight, the shock wave initially proved to be a barrier to the smooth aerodynamic airflow over the wing that had always been sought to generate lift. Consequently, for some, the sound barrier was perceived as an invisible wall in the sky, a finite limit waiting to decimate those test pilots foolhardy enough to enter its realm. The truth was that the sound barrier had already been broken by everything from the cracking tip of a stock-whip to the bullet that strikes the soldier before he ever hears the shot. The reality was simply that the phenomenon was at odds with many aspects of aircraft design at the time. Generously curved, or cambered, wing cross-sections needed to be made sharp to penetrate the air and conventional tailplane controls with hinged elevators were replaced by all-flying tails, or stabilators. Shock waves had been prone to forming on the hinge-line of the tailplane, significantly increasing the load on the flight controls and causing pilots to say that their controls “froze” as they approached the sound barrier. These were just some of the problems that designers needed to counter before Chuck Yeager was able to officially exceed the speed of sound on October 14 1947 in the Bell X-1 – an aircraft whose fuselage closely resembled the shape of a .50 calibre bullet. As with all advancement in aviation, conquering a frontier opens up even further research and a range of new applications. The breaking of the sound barrier was no exception, and soon swept wings were emerging as the norm on fighter aircraft and jet engine technology developed at a tremendous pace. Inevitably an eye was cast beyond the ranks of the military, and a new challenge dawned on the civil aviation horizon. Did the future of air travel lie in the supersonic domain? In the early 1960s President John F Kennedy was proclaiming that, ‘We choose to go to the moon in this decade and do the other things, not because they are easy, but because they are hard’. It is possible that one of those “other things” was supersonic air travel. The concept of a Supersonic Transport (SST) had its origins in the 1950s, but truly gathered momentum with manufacturers and governments alike in the next decade. Reports were commissioned by Kennedy as an Anglo-French consortium gathered momentum with its Concorde project and, like the space race, the United States didn’t wish to be left behind. The quest for an SST in the United States saw Lockheed and Boeing present their designs and full-scale mock-ups in 1966, but it would be the Boeing 2707 that would emerge as the winner and move on to the next stage of development. 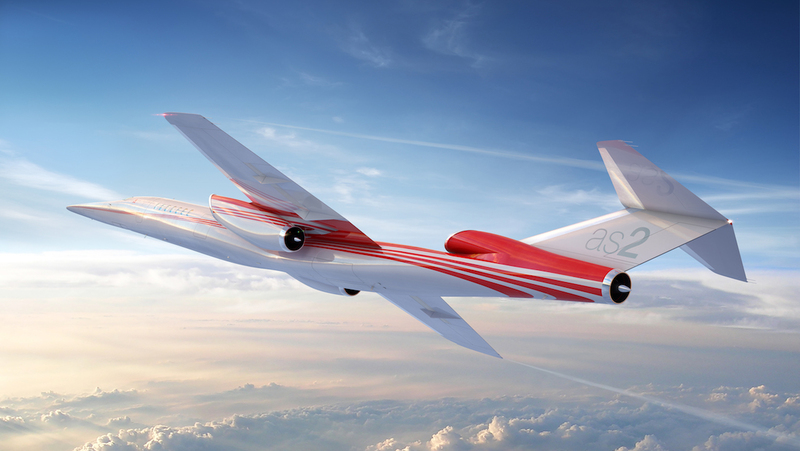 The aircraft was proposed to carry around 280 passengers at close to three times the speed of sound. However, there were continuing concerns over the aircraft’s operating costs. Additionally, the project did not receive complete support in the political arena and there were environmental concerns regarding the effect on the ozone layer, noise levels and the sonic boom. Government funding cuts to the SST program were announced in 1971, and the Boeing 2707’s fate was sealed, never to advance beyond the mock-up that now resides in the Museum of Flight in Seattle. The Boeing 2707 had made advances in the design of supercritical wing design and had been an early adopter of the glass cockpit, but this was not enough to ever see it take to the skies. The United States’ opponent in the space race had a greater degree of success in the SST realm. The Soviet Union developed the Tupolev Tu-144, with the first aircraft taking flight in 1968 and entering commercial service in 1975. However, despite more than a dozen airworthy airframes being built, the aircraft was plagued with technical problems through its life. The Tu-144 program was officially cancelled in 1983, although there was provision for the aircraft to remain flying in a test-bed and training capacity. Despite the efforts of the world’s two superpowers, it would be the Aerospatiale/BAC Concorde that enjoyed the greatest success. Highlighted by the eye-catching contours of its delta-wing, the Concorde became an aircraft for the ages – even though only 20 were ever built. First flying in 1969, the aircraft could cruise at more than Mach 2, and had a maximum passenger capacity of 128. Commencing scheduled services in 1976, the Concorde was to see both admiration and opposition during its life. 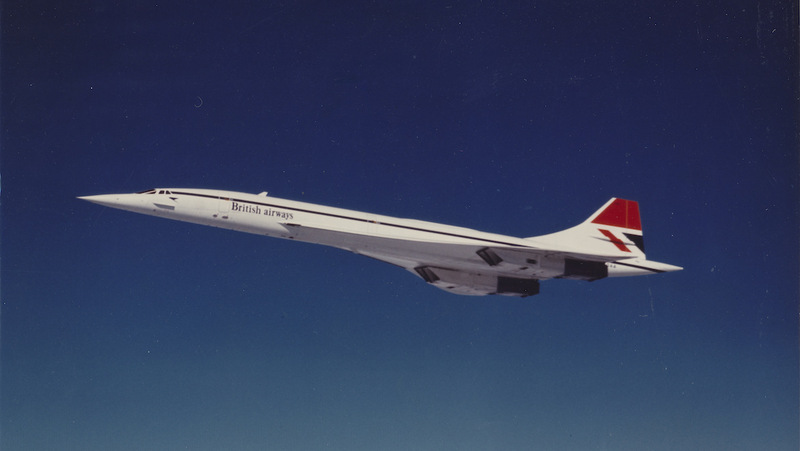 The US Federal Aviation Administration (FAA) finalised regulations in 1973 prohibiting flight in excess of Mach 1.0 over land and to a certain distance offshore, thus restricting the Concorde to trans-oceanic routes, primarily New York to London or Paris. Ultimately, the combination of high operating costs, politics and environmental concerns would prove too great for the aircraft. With the dawn of the 21st Century came a perfect storm in the tragic loss of Air France Flight 4590 in July 2000 and the 9/11 attacks a little over a year later. With high fares and low demand, both British Airways and Air France announced the retirement of the Concorde in 2003. With its withdrawal from service, the age of the supersonic transport seemed to have passed, unable to counter the hurdles that had existed since its conception. It had been unable to overcome the costs of fuel-thirsty afterburning engines and ease the concerns of its environmental impact and sonic boom. The vision of hundreds of supersonic airliners filling the skies and shrinking flight times in a new age of aviation was now confined to history – or was it? Faster, higher and further are driving forces in aviation, and have been the ongoing quest since humans first took flight. And while the initial foray into supersonic transport could be perceived as a commercial failure, it had undoubtedly proven that such an endeavour was indeed possible and, even more critically, identified its shortcomings. Central to the supersonic transport’s woes was the sonic boom. The shock wave created by an aircraft breaking the sound barrier leaves a Mach cone in its wake. That cone radiates out at 360 degrees from the aircraft and inevitably drags a portion along the earth’s surface, known as the boom carpet. Unfortunately, this impacts unfavourably on the people, animals and property that exist below. NASA has been conducting research into reducing the sonic boom to a noise level that won’t bother those on the ground. As Peter Coen, NASA’s supersonic project manager explains, the goal is to reduce the boom to a thump. As far back as when the Concorde was retiring in 2003, NASA was flying a Northrop F-5E fighter with a modified nose and fuselage to research whether aircraft design can reshape its shock wave and therefore reduce the sonic boom. 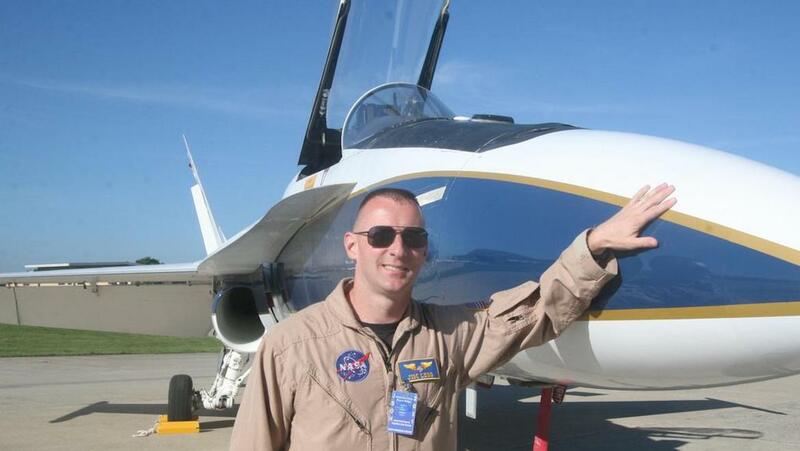 More recently, it has been investigating the sonic boom using an F/A-18 Hornet. By having the Hornet dive at supersonic speed towards a specific point on the ground, NASA has been able to measure the noise level a few miles away from where the boom is focused and where the shock waves have spread out and weakened. The result is more of a “sonic thump” than a sonic boom and is likened to the sound of a car door closing. Later this year, NASA will take the tests away from the flight research facility to the Gulf of Mexico. There it will aim the boom at the Gulf and measure the resultant thump on the city of Galveston using a combination of sensors and 500 human volunteers. Armed with this data, they will have a greater appreciation of what noise level people on the ground will accept. However, the Hornet only has the capacity to simulate a sonic thump over a limited area and supersonic travel in the future will call for the loud sonic boom to be eliminated, rather than merely directed away from the populous. To this end NASA, earlier this year, awarded Lockheed Martin’s Skunk Works a US$247.5 million contract to design, build and flight test a Low Boom Flight Demonstrator (LBFD). Named the X-59 QueSST and just under 30 metres in length, its futuristic form resembles a long dart with aft-mounted delta-shaped wings and tailplane. The specially designed airframe accepts that shock waves will form on the various surfaces of an aircraft but aims to prevent them from combining into a single intense shock wave. As a consequence of the reduced intensity, the noise heard on the ground will be far less. On completion of flight testing, the X-59 will fly a series of flights over selected communities in 2022 to validate their results. 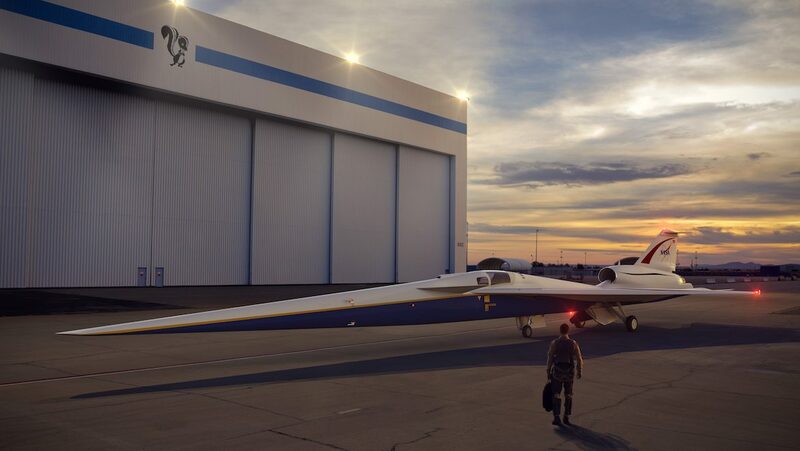 To facilitate this and other aspects of research, the FAA announced in May that it would be taking steps to advance the development of supersonic flight by initiating two rulemaking activities on civil supersonic aircraft noise. It would seem that the sonic boom is on the verge of being replaced by a dull double-thump, signalling a new heartbeat in air transport. When the Concorde came to a halt for the final time, there were those who shed a tear at the passing of an era. However, the aviation landscape has changed greatly since the 1960s when this supersconic pioneer was first conceived. Along with sonic boom research, the evolution of materials, increased computing power, developments in engine design and improved dynamic modelling are just some of the advancements that have the potential to open up a new dawn in supersconic transport. In doing so, the previous Achilles heels of cost and environmental impact are also being addressed. 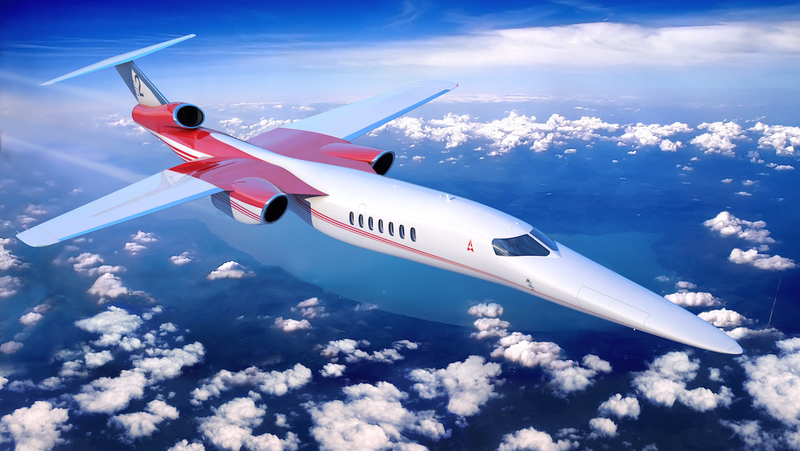 In addition to the development of the X-59, Lockheed Martin is also involved in a commercial supersonic project with Aerion Supersonic and GE Aviation through the development of the three-engined Aerion AS2 business jet. Characteristic of all airframes in the SST realm, the AS2 is needle-like, although in place of a delta wing is a thin tapered wing, somewhat reminiscent of the F-104 Starfighter’s, as is the T-Tail. Seating between eight and 11 passengers, and with a “boomless” cruise speed of Mach 1.1, it has already garnered the attention of the Flexjet fractional aircraft ownership program, which has placed a US$2.4 billion order for 20 AS2s to be delivered in 2023. On a slightly larger scale, the Boston-based Spike Aerospace is developing the S-512 with the goal to efficiently carry 22 passengers at a speed of Mach 1.6 without creating a sonic boom. 37 metres in length, the S-512 has a modified delta wing and aims to reduce the flight time between New York and London from 6.2 hours to a little over half at 3.3. Eye-catching is the apparent absence of traditional windows, replaced internally by massive panoramic displays that can be selected to show the outside world via cameras, the latest movies, or even a laptop presentation. A smaller, unmanned proof-of-concept SX-1.2 flew late in 2017 to gather subsonic data but the full-size S-512 is planned for testing in 2021 with deliveries in late-2023, at an estimated cost of US$125 million. Capturing the most attention across the globe is the Boom Supersonic airliner which is proposing to carry 55 passengers at more than Mach 2.0 with seat-kilometre costs equivalent to subsonic business class. Equipped with one tail-mounted and two wing-mounted engines, the wine glass delta wing and overall lines hint at the eye-pleasing Concorde. However, like all of the modern contenders, the thirsty afterburning engines of past supersonic airliners have been replaced by vastly more efficient turbofan engines, optimised to deal with supersonic flight. Boom is currently building a two-seat testbed, the XB-1, or Baby Boom. The aircraft will be used to validate the technologies that will be adopted by the full-size airliner. Scheduled to fly later in 2018, the XB-1 is a third-scale version of the airliner and like its bigger sibling, will aim to achieve a speed of Mach 2.2. A number of airlines have already signed on, notably the Virgin Group and Japan Airlines (JAL), with the latter investing $10 million in Boom and pre-ordering twenty aircraft. The lure of an airliner that can effectively halve flight times is proving of interest, and again, fare-pricing is spoken of in the vicinity of current business class fares. The dream of powered flight became a reality more than a century ago and as each decade passed more advancements in design and performance were forthcoming. In recent times, airliner innovation has been seen to build upon existing technologies in search of increased efficiency and range, rather than forging any particularly new frontiers. A case of evolution, rather than revolution. 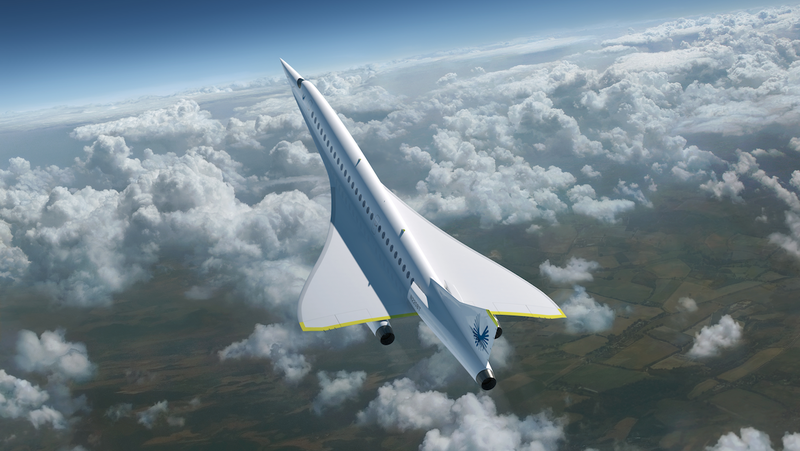 Yet delve a little deeper beyond the next generation of twin-engined, widebodied turbofan airliners and the prospect of supersonic transport is not only possible, it is becoming tangible. The disappointing dreams of the 1960s have re-emerged in the skin of 21st century technology and with the benefit of many hard lessons already learned. A renaissance of aviation may be emerging through sonic thumps over Galveston and needle-like aircraft eclipsing the speed of sound, and this exciting new era may be closer than you think. VIDEO: A promotional video about the GE supersonic engine from the Aerion YouTube channel. This article originally appeared in the September 2018 magazine edition of Australian Aviation. 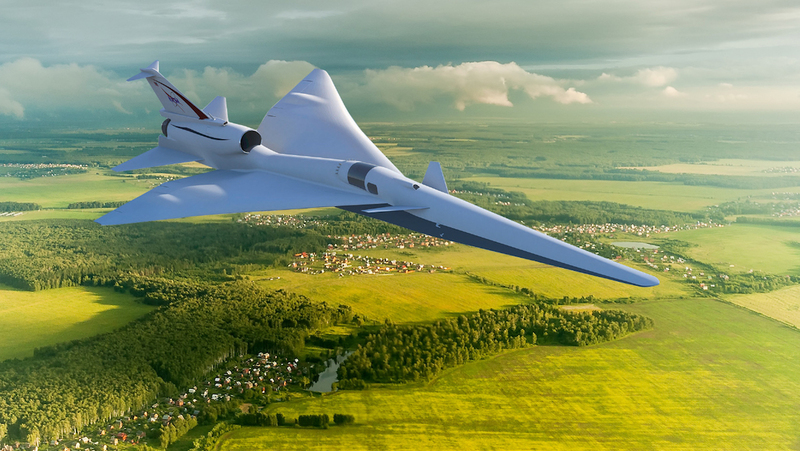 LOVE TO SSE A SUPERSONIC AIRCRAFT DEVELOPING IN THE SKY AGAIN FOR THE PASSENGERS IN THE MIDDLE OF 2030.